WolfBite Interactive is creating content you must be 18+ to view. Are you 18 years of age or older? WolfBite Interactive is creating Visual Novels. Hey guys! I enjoy writing in my free time and coming up with stories, and I'm normally pretty happy with what I do. But, I don't tend to show anyone what I come up with. Here, I'm hoping to garner some support perhaps and maybe some extra motivation to actually get my writing done and share what I do with other people. I'd like to actually publish a book some time in the future, so the support here I'm sure will help me grow and improve myself, pushing me to really achieve that goal! 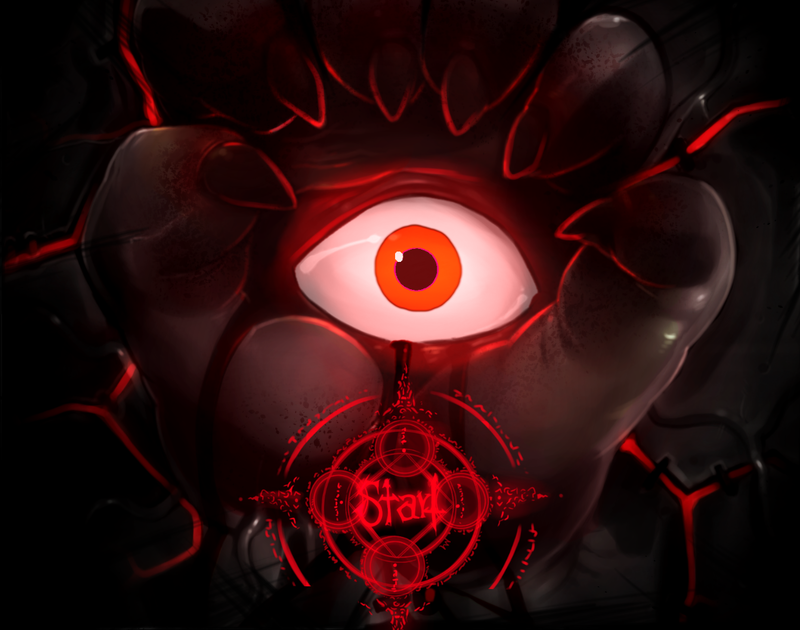 Currently, I update the visual novel two times a month. Once in the middle and once at the start. I will make announcements if something will prevent me from doing so. Right now, my main project is a Visual Novel titled Extracurricular Activities, so what your support will go to right now will be helping me pay for the art that I want to use in this, since I can't really say I'm doing a visual novel without any visuals. Originally, CursedMarked was my character artist, and he did amazing job working with me on designing the visuals of the cast. Unfortunately, we've have to part ways in regards to work, so he and I will no longer be working together on this project. You can still visit his patreon HERE though, for his amazing work! Now, I'm pleased to say that I'm currently working with CaptainGerBear of BigFinger Games Inc. He is bringing his professional work and advice to the project. Over time, you'll see the art shifting (it won't be immediate), so stay tuned and see what all he brings to Extracurricular Activities! As well as working with CaptainGerBear, I am working with Gavel as well, as my background artist! He's been doing a phenomenal job, and he has brought a lot of life to the project. FAQ ABOUT EXTRACURRICULAR ACTIVITIES CAN BE FOUND HERE! Extracurricular Activities merchandise can be found here! What's the deal with my visual novel? Here's a demo for what I'm working on currently. Please keep in mind that this is just a demo of it to give you guys an idea of what to expect. I've got a lot of work to do still! Here's the newest build of the public demo for PC,MAC and now ANDROID (it is the correct version, despite it's name)! It's version 1.75, and you can see those notes on my blog! Be sure to check out the FAQ there as well if you have any questions! And sorry about any bugs in that, but those will be fixed in future updates to the public demo. I've put all the links on one spot for ease of access on my end. Please, if this is an issue for anyone, do let me know. I.D.E.K.A. Halloween Special 2015 - Join the crew from I.D.E.K.A. 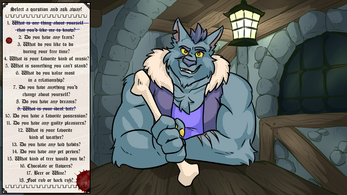 in a small Halloween Special I created with CursedMarked as things go crazy in their potion shop. Does contain mature content! I.D.E.K.A. 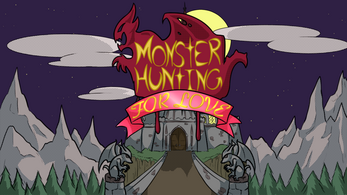 Halloween Special 2016 - Follow along with Fumdux and Kirin as they are heading off to gather a plant for a potion in production for a client, but along the way, they are driven into an old castle they have never seen before. Unable to return from the way they came, they have to find a way out! 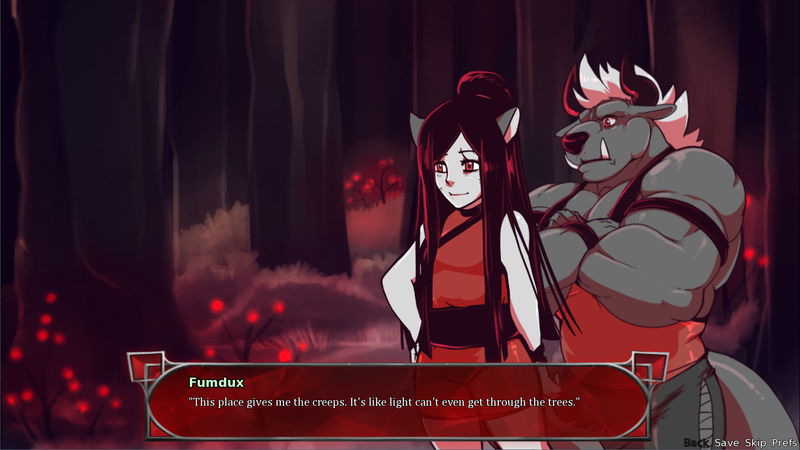 A second, short visual novel I worked on with CursedMarked! This project is now available through itch.io for just $3.99! Monsters deserve to find love in the world too, right? Sit down and have a talk with a variety of monsters that are only looking to have a good time. Play your cards right, and maybe you'll even go home with them. Who knows what will happen after that? A collaborative project with Mark "Briar" Thorne and Wolfstar. This project is now available through itch.io for just $3.99! **This reward is disabled currently** For anyone interested in the cameo sprite reward~ By selecting that, you are giving me permission to use your character in my visual novel as I see fit. You will appear at random with interaction between either the player character or other characters in the story for a single day. You'll also receive the file of your character sent to you! Thanks guys! Nobody has permission to use art assets from my projects for anything (fan-made or otherwise). This is all content meant for nothing other than their intended projects. They are all owned by myself, Jonathon King, WolfBite Interactive LLC (AKA DyneWulf)). My Patreon page is now set up with the Charge Up Front (CUF) model. What does this mean? All new Patrons will be charged when they first sign up and then again at the start of the month. This means that if you pledged on the 25th of the month, you will get charged again on the 1st. To avoid double charges, it's best to pledge early in the month, when the bill cycle resets. I have the free, public demo and an update schedule posted, so people have plenty of information to see what to expect. Thank you all for the support! You have my gratitude and once my Visual Novel is completed, you'll get the full thing with some exclusive Patron content! As well, you'll have access to give input on all aspects of the game! You'll also get access to updates to the demo and will be added in to my credits screen! This perk will give you access to the in game image gallery and music gallery throughout it's creation. Revisit any of the characters and their outfits or music once you encounter them by just visiting the galleries. This will get you the previous tier reward, and you'll get a 20% discount code to use on Extracurricular Activities merchandise through FurryDakimakura, TeeSprings and on the Pins/Keychains (does not stack with other promotions/discounts, good for a single item). More information can be seen in the FAQ! Thank you all, truly. I don't know what else I can do to make things better than what is in progress already.